Children’s Omega 3 provides high potency EPA and DHA from the marine microalgae Schizochytrium oil. 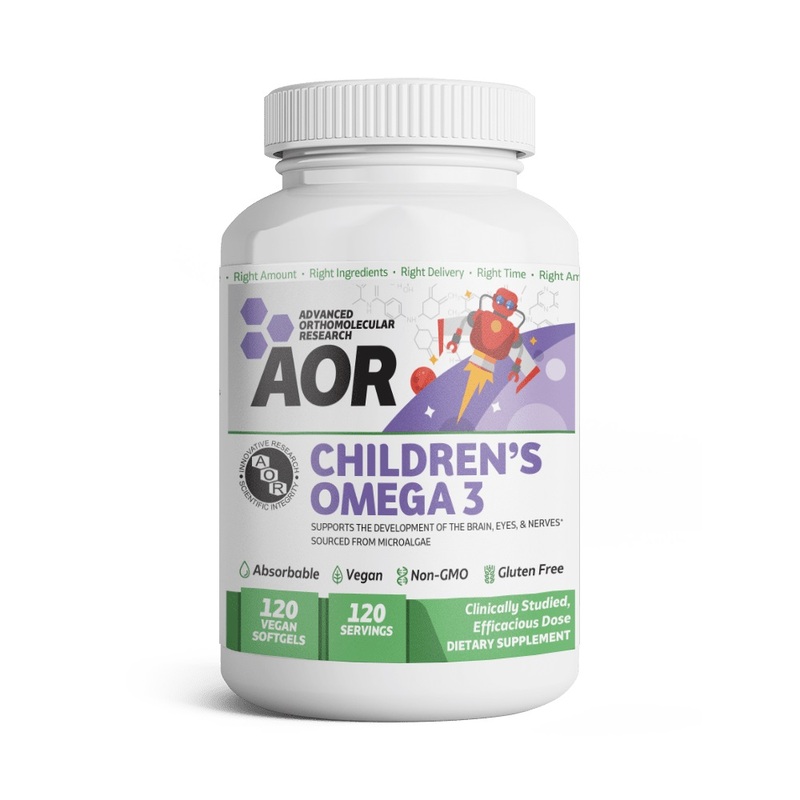 Children’s Omega 3 is a source of omega-3 fatty acids, eicosapentaenoic acid (EPA) and docosahexaenoic acid (DHA) for the maintenance of good health, and helps support the development of the brain, eyes and nerves in children up to 12 years of age. This formulation uses AOR’s patent pending Vsoftgel™ technology. NOTE: For Children 2 years old and under squeeze the oil out of the softgel prior to administration. For children 4-8 years old, take 1-2 softgels daily. Take softgels with or without food, or as directed by a health care practitioner. Other ingredients: rosemary (Rosmarinus officinalis) extract, sunflower oil vitamin E tocopherols (preservative), and ascorbyl palmitate. Vegan softgel: tapioca starch, glycerin, and purified water.